The federal government is already sold on the power of health IT. That shift is readily apparent in the Office of the National Coordinator for Health Information Technology’s recent announcement of its plans to transition its health IT certification program to include testing tools developed by the health care industry, and in the Defense Department’s rollout of a new electronic health system at a second facility. Such measures speak to the impact advanced analytics can play: Data can help predict costly hospital re-admissions and boost suicide prevention; help rank, in order of priority, the growing number of facilities that need to be regulated and inspected just as federal budgets shrink; and in flagging fraudulent health claims. What’s less certain is how the federal government can best partner with industry to bring about smarter decisions and better health outcomes. That’s an issue Melissa Chapman and Ian Graham, who’ve both worked extensively with civilian and defense customers throughout their careers and now advance health IT solutions for federal customers through their work at Salient CRGT, understand first-hand. Together, these industry veterans, whose combined experience working with civilian and DOD agencies spans over 35 years, recently compiled a list of 100 questions every federal customer should be asking contractors — hard questions, better asked now than later. As Chapman sees it, the imperative for digging deeper couldn’t be greater. The key, Ian Graham adds, is for both industry and government to look beyond the latest or greatest tool as the ultimate salve to address healthcare information woes. “Focus on the process, and the mission, as opposed to a specific technology,” says Graham, Salient CRGT’s vice president of data analytics and business solutions. 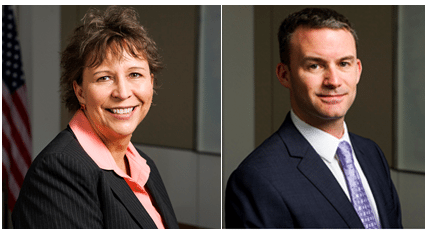 To help bring clarity to federal customers as they assess contractor offerings, Chapman and Graham recently helped compile a list of “essential questions” every government agency should ask. Not an easy question to answer for agencies like the Veterans Affairs Department, which constitutes America’s largest integrated health care system with over 1,700 care facilities nationwide, serving nearly 9 million veterans a year. To add clarity to such agency challenges as data uniformity and delivery, Chapman says it’s essential for agencies to be mindful of the potential, short-term growing pains of a new electronic health record rollout. Contractors, for their part, must facilitate such understanding, Chapman says. 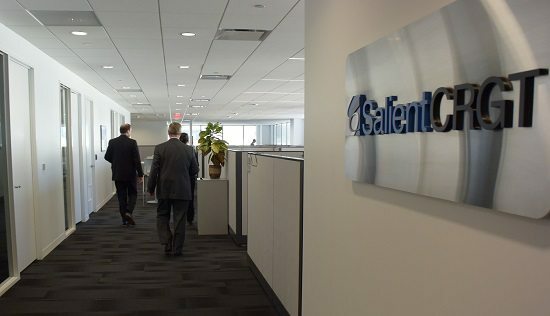 Salient CRGT spans more than 20 offices, with more than 2,000 personnel in over 150 locations across the United States and overseas. Navigating this new health care terrain requires a clear-cut framework of understanding among agencies — something Chapman groups into three categories: The first, Chapman says, is keeping legacy or current tools operational; the second, seeking transformative solutions that go beyond business as usual; and third, expecting more from contractors. That goes back to asking the hard questions, and raising expectations of vendor performance.